Metal blinds offer a classic look to any home or office. 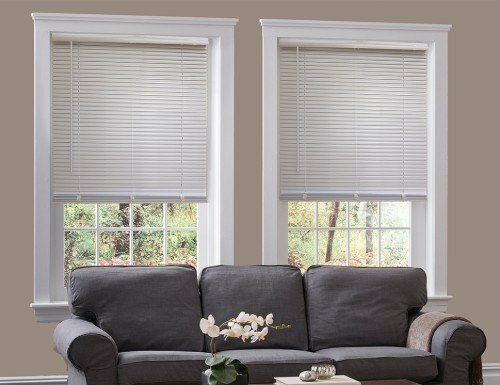 Because metal mini blinds come in such a wide range of colors hard to find in other venetian blinds they are a perfect way to add color to your decorating. Metal mini blinds are available in various sizes as well as thickness. Choose from either 1/2 inch micro, 2 inch macro, or the most common 1 inch metal slats. 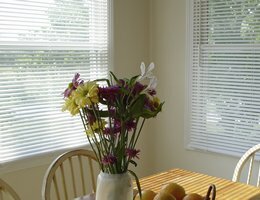 Most metal blinds come in 6 gauge metal but you may consider the thicker more durable 8 gauge metal slat blinds. We know you have many options when choosing metal blinds. At Blinds Chalet we take pride in offering quality products at competitive prices. 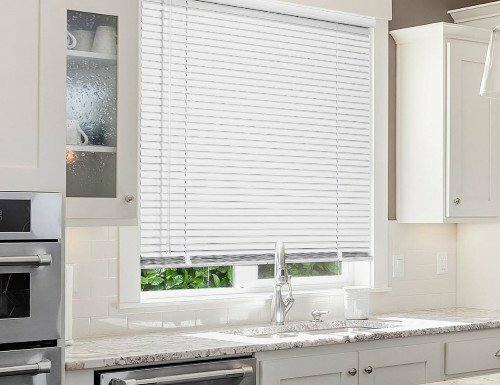 You can't go wrong with choosing Blinds Chalet to buy your mini blinds online. 1/2 inch micro blinds are perfect for smaller windows or windows with little window frame depth. 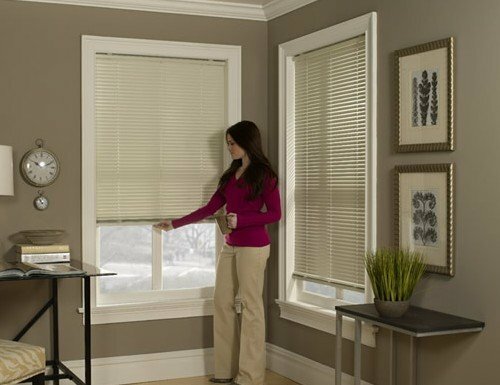 1 inch mini blinds offer the traditional metal blinds look. 1 inch metal blinds come in the widest variety of colors and styles to choose from. 2 inch macro blinds created a bolder look. With upgrades such as decorative fabric tapes the color possibilities are endless.